Blended with a true flavour of mango sucrose and kewra essence makes this dessert appreciated for its real taste. We are a prominent name in the domain of offering Mango Cherry Petha. 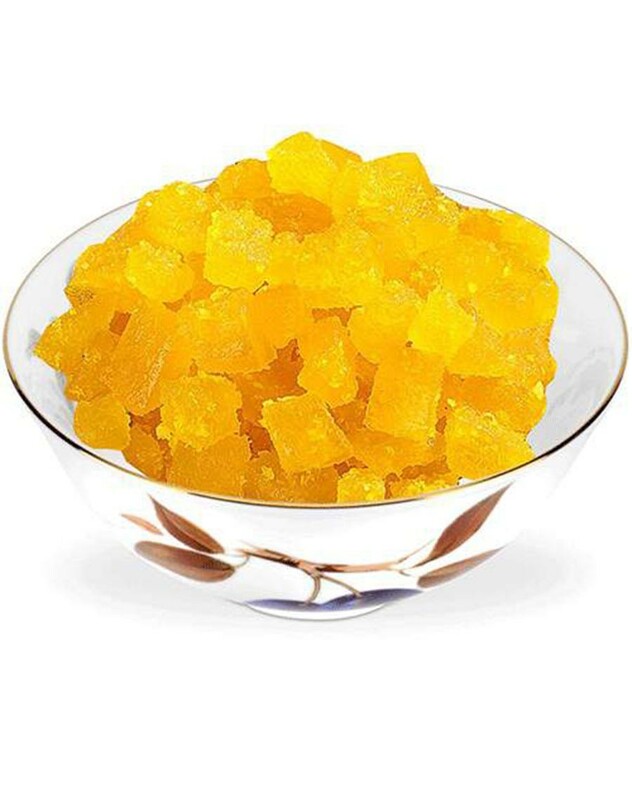 Mango cherry petha is mixed with coconut powder having flavour of Mango. We utilize the finest quality ingredients in making Mango Cherry Petha. We take extra care regarding the hygiene of our infrastructural facility so as to endow our customers with safe and tasty Mango Cherry Petha. We make Mango Cherry Petha available in various mouth-watering flavours to attain maximum customer satisfaction.